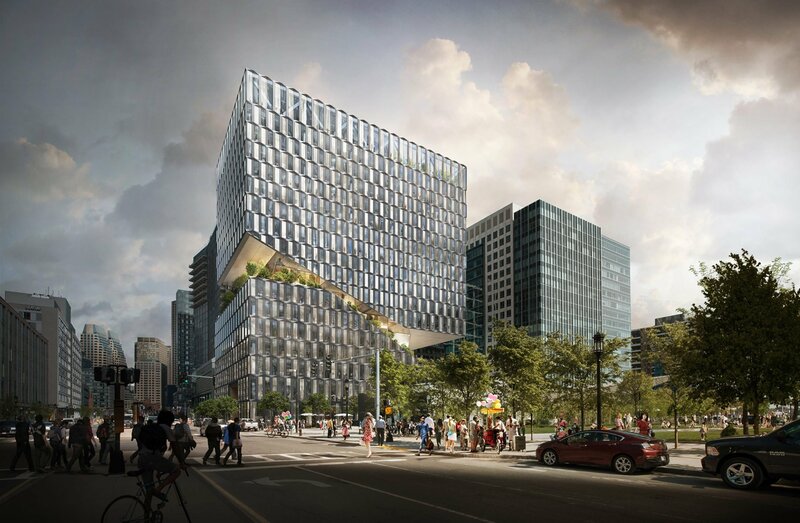 This 18-story, 490,000 square foot mixed-use development features 425,000 square feet of Class-A office space, along with 60,000 square feet of retail across the first two floors, and 5,000 square feet of civic and cultural space. 88 Seaport Boulevard’s design features cascading exterior terraces along an angled slice with recessed windows, creating various-sized floor plates. Office space features floor-to-ceiling fenestration, maximizing views, and natural lighting. The building is sliced into two volumes, responding to the historic scale of the Fort Point neighborhood and the newer buildings of the Seaport District. 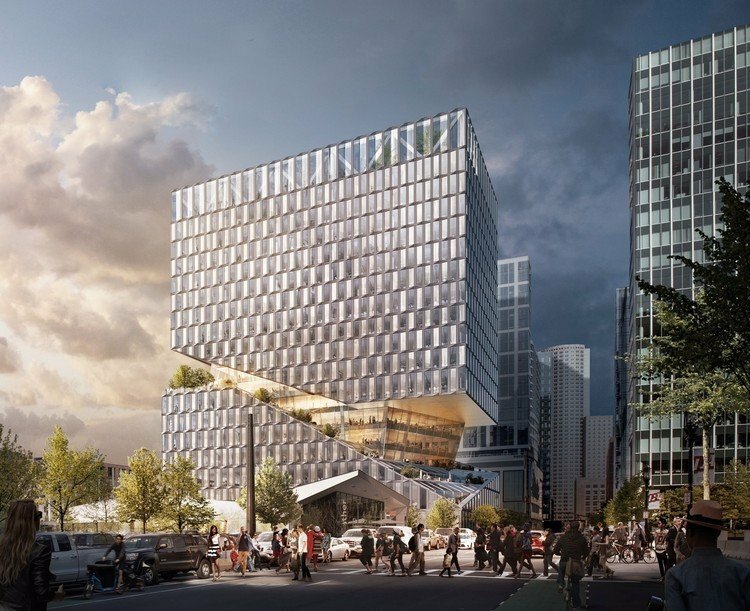 88 Seaport Boulevard’s angled design is intended to gesture pedestrians towards the waterfront.